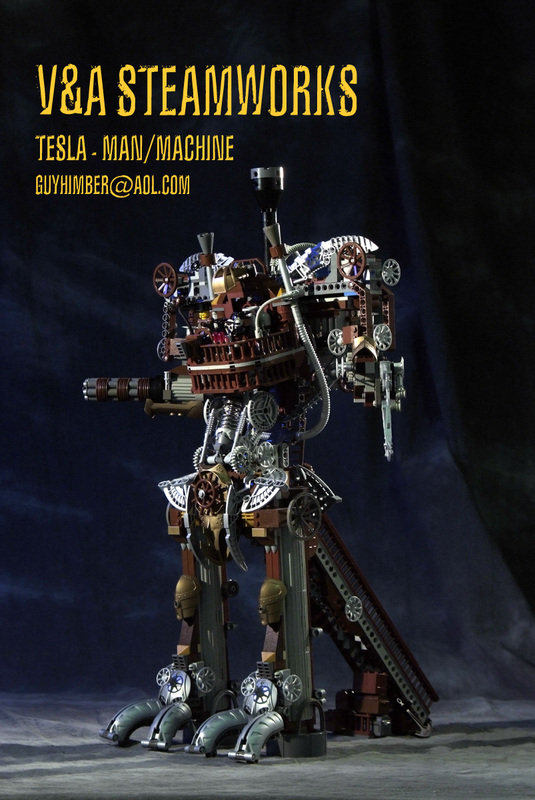 Besides being a special effects artist behind some of your favorite movies, Guy Himber recently entered into the frenzy of LEGO building after an inspiring BrickCon experience. I’ve not seen fans come out of their dark ages with such stunning creations. 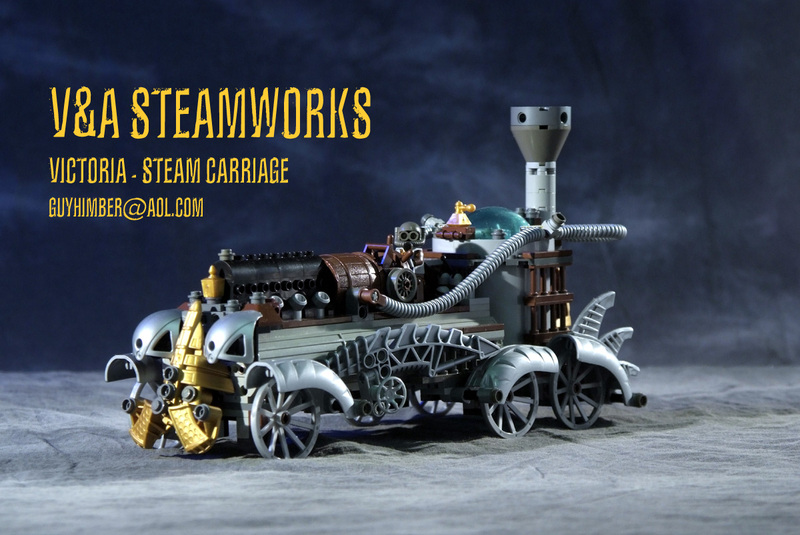 Above: a giant steampunk automaton and a fantasy victorian pipe organ, both in minifig style. 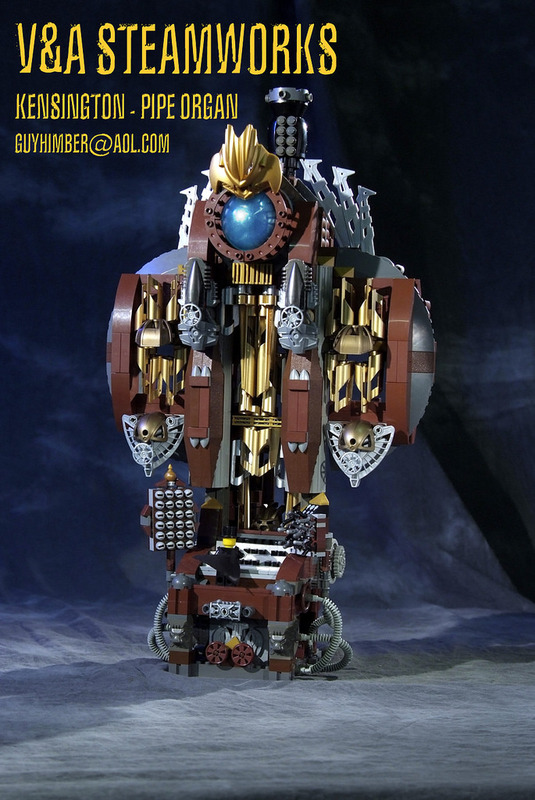 I really like Guy’s innovative combination of Bionicle elements with standard LEGO bricks. To him, these parts are reminiscent of “the NeoVictorian flavor with their small pistons, mini rivets and swooping/rounded shapes.” Also interesting is the repeated use of the blue bubble canopy, which seems to mimic an energy source and adds a nice touch of character to his style. 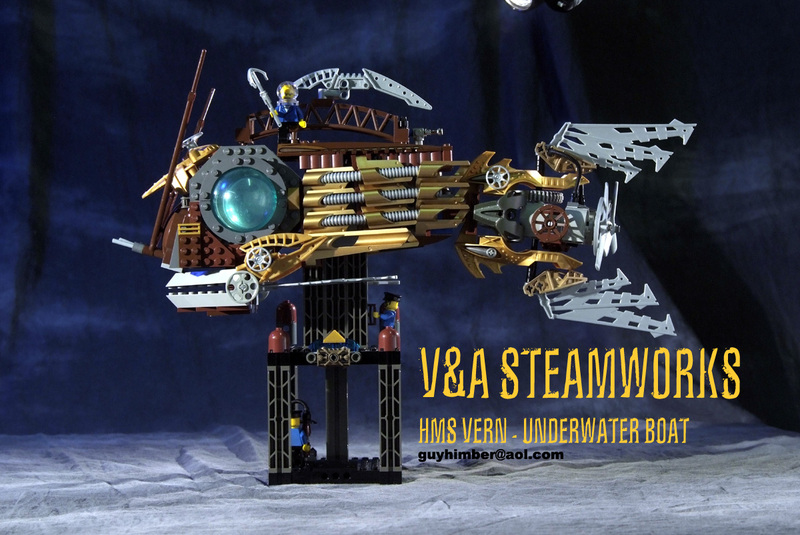 Below: an underwater boat and a steam carriage. If you’re a Flickr user, you can add Guy as a contact by clicking here. That bubble isn’t a Bionicle piece… didn’t that come from Aquanauts? It’s an interesting piece, nonetheless. These are all great mocs. Love the battery case use as well.